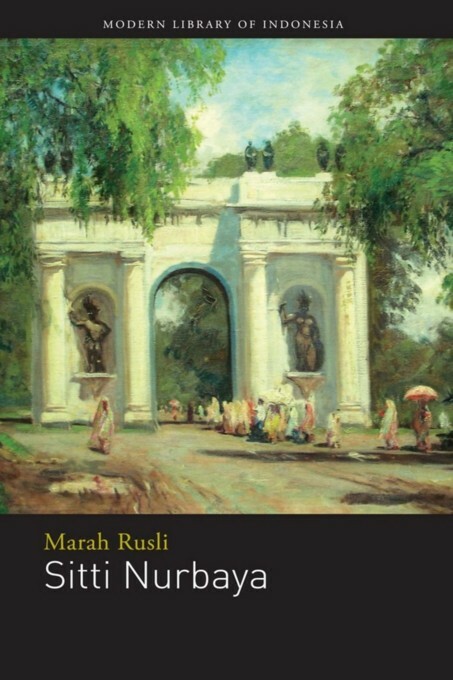 First published in 1922, the novel Sitti Nurbaya: A Love Unrealized, by Marah Rusli, retains the poignancy that made it a modern Indonesian classic. In terms of its social impact in what was then the Dutch East Indies, Sitti Nurbaya may be compared to Uncle Tom’s Cabin in the ante-bellum United States. Even to this day, the issues of injustice and indignities suffered by women that this novel raised continue to be debated throughout the country. Rich in description, dense with ironic foreboding and the inexorable workings of fate, Sitti Nurbaya is Samsu and Sitti Nurbaya’s ill-fated love story. But in their wishes, the reader might also also discern young people’s tantalizing dream of what the East Indies society might become, or could become, if only local genius, embodied in a modernizing youth emancipated from stifling traditions, could fuse with European genius in mutual respect and admiration. This too was, of course, a dream never to be realized, and one perhaps which never could have been realized.